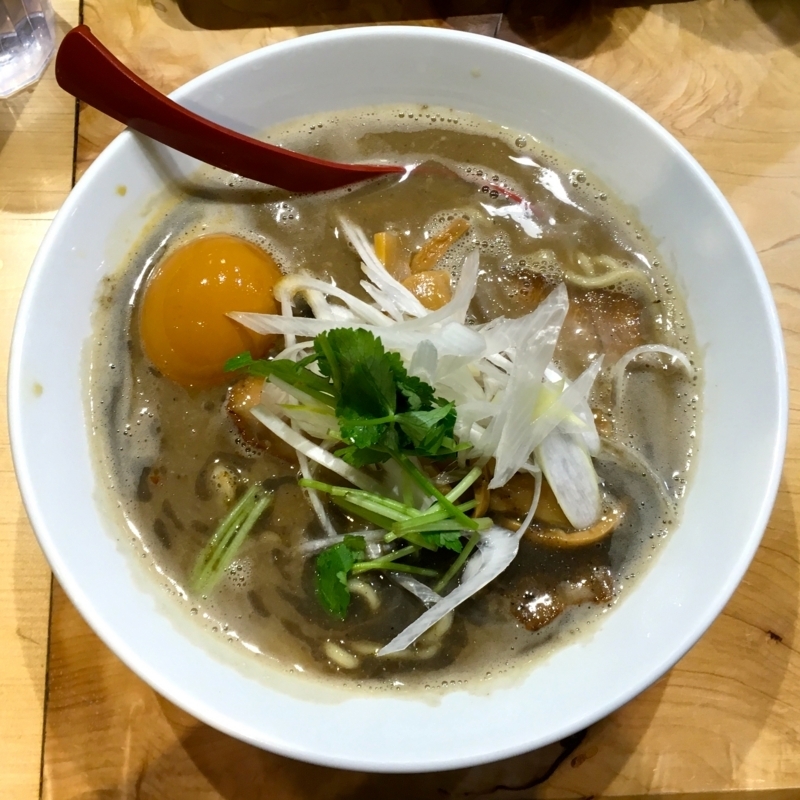 This time, I visited a ramen shop called "Tsuki-to-Suppon" in Shinbashi, Tokyo. It's a very interesting shop's name. This is a Japanese proverb when comparing good and bad things. "Tsuki" means the moon. "Suppon" means a kind of turtle. Both have round shapes in common, while beauty is far apart. It is a mystery why this shop choosed the name. 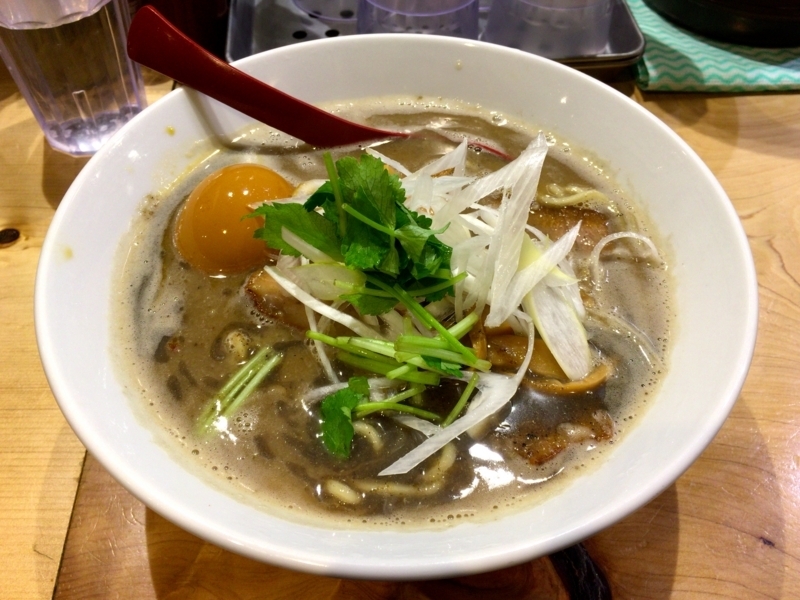 The popular menu of this shop is rich niboshi soba. 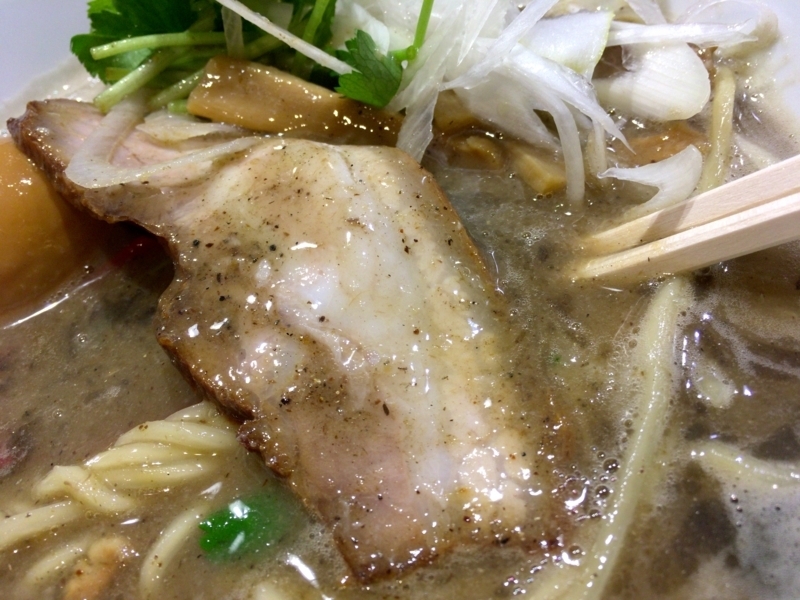 Because it is made from so many niboshi, its soup is characterized by bitterness. It also contains a thick chicken soup. So it's not just bitterness, you can taste deeply. 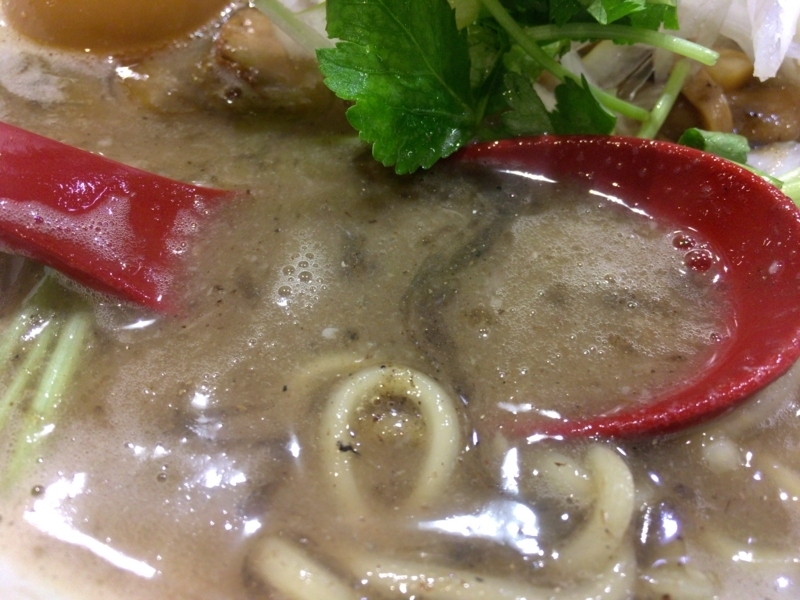 Slightly soup is heavy, so you can get high satisfaction. 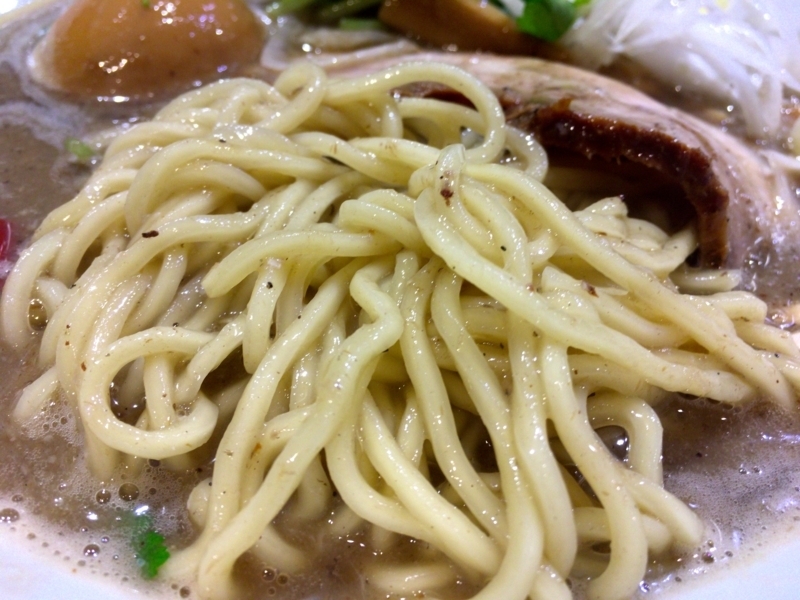 The noodles are thick and moisture-rich. It is elastic and high in flavor. It fits greatly for thick soup. Meat is a roasted rose part, and its fat is burning a little. So I see it looks very delicious. 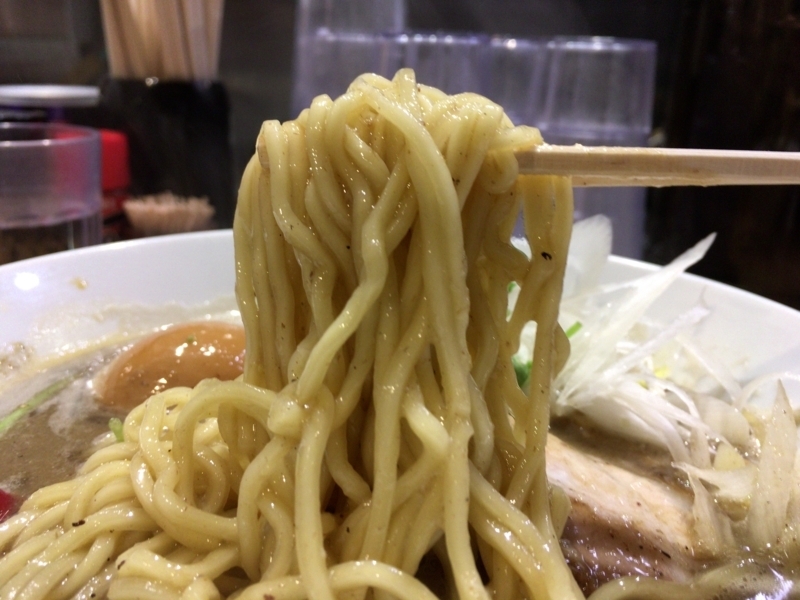 "Tsukemen" seems to be popular in this shop. 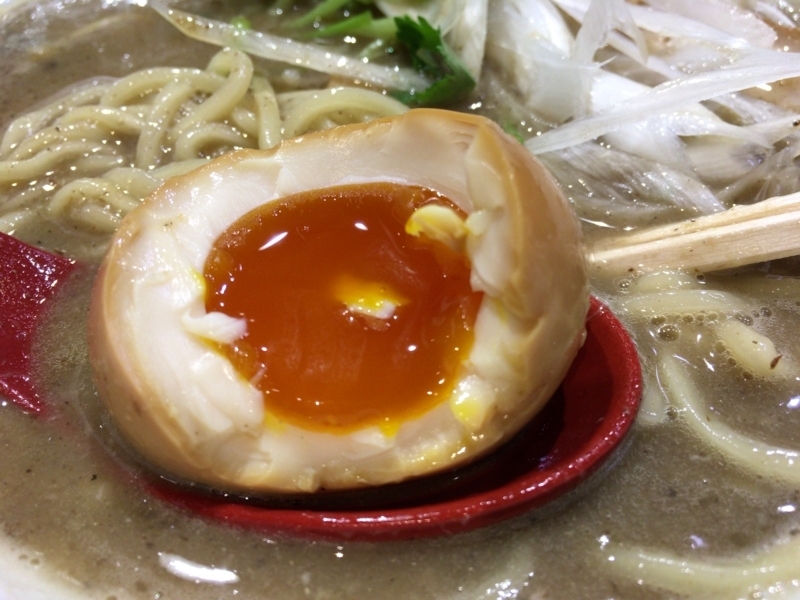 "Tsukemen" is generally thicker than ramen. So you will taste even more rich niboshi. People who like strong rich niboshi like this are called "niboshist" and ridiculed. Perhaps I am one of them. 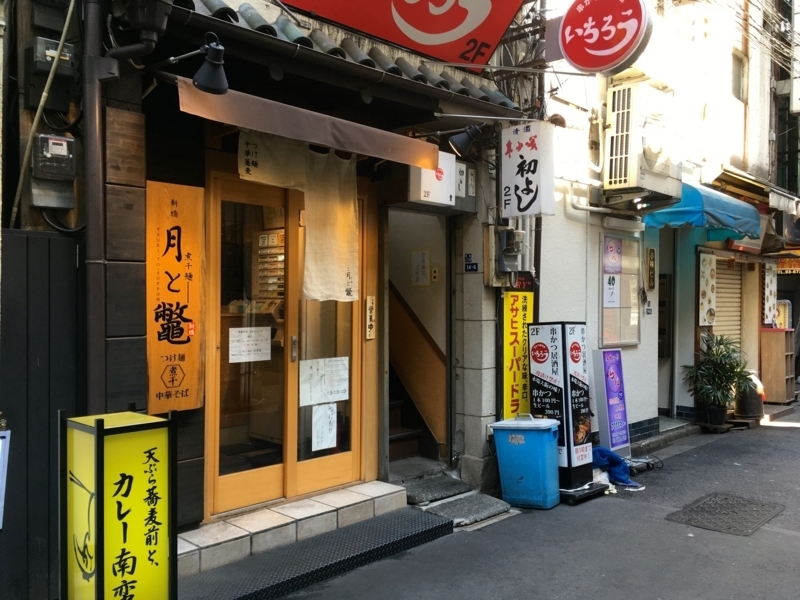 If you come to Shimbashi and are interested in niboshi, I definitely recommend you. 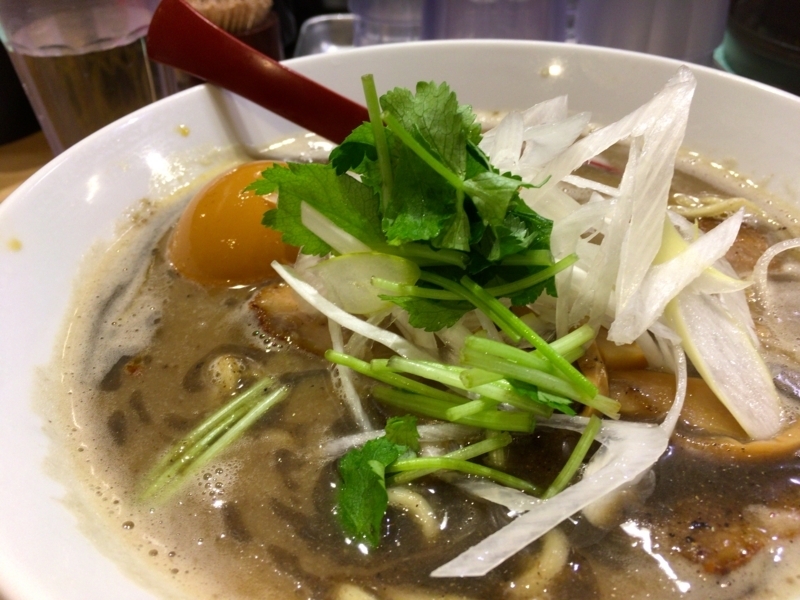 Thank you for the wonderful ramen today!